If you have ever owned or used one of sE’s original reflection filters, then you’ll be all-too-aware of the usability issues around this original design. The sE reflection filter is however, responsible for creating this new market. Until sE brought out their ‘heavyweight’, the only option was to get creative with a duvet and some gaffer tape. Hardly the professional look, even for a home studio. Help is finally here though, as Aston believe they have the answer to all these teething problems. Aston’s Halo Shadow is essentially the same as their original Halo, but now in black for a more “moody” feel. 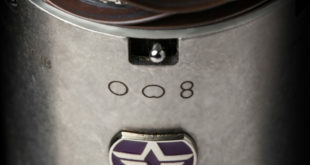 A small detail, but the original is purple and it isn’t exactly a small item. While the striking original is quite fun, it’s great to see this black coloured option. I hadn’t had a chance to try the Halo yet, so this proved a great opportunity for me to put this new reflection filter to the test. The first thing you notice about the Halo is it’s size. Aston have clearly focused on the performance of this reflection filter, which is great. 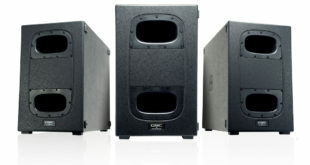 When it comes to any form of sound treatment, you can’t really cheat on dimensions, design or choice of material. Thankfully, Aston have concentrated on all these aspects. The downside of its size though, is that you’ll need somewhere to store the Halo as it doesn’t fold away. The size and shape of the Halo, of course present several benefits. I really like how Aston have addressed reflections entering your microphone at the top and bottom, as well as from the rear and sides. Intended for those in un-treated rooms, ceiling and floor reflections could potentially be quite strong and I’m convinced this plays a large part in the effectiveness of this filter. At the end of the day, microphone pick-up patterns are 3-dimensional and the shape of the Halo truly takes this into account. The size also reduces the colouration the filter has itself, or should I say hasn’t, on the microphone. Quite honestly, I wasn’t aware of the filter imposing any reflections or colouration back into the microphone, even when I tested it in a treated room. Alongside Aston’s design and choices of materials, you’re also left with a comfortable space for any microphone to sit inside with room to ‘breathe’. Although the Halo is quite large, Aston have managed to keep the weight down with their choice of material. Made from PET felt, Aston describe it as “one of the most lightweight and efficient, technical acoustic products available”. Even a basic, over-used boom stand I had at home was able to hold the Halo without drooping or feeling unstable. This brings me neatly onto the clamp. Aston call it the “easy-mount hardware”, which is actually quite accurate. There aren’t any adjustable pivots with difficult-to-use wing nuts or over-complicated brackets. In fact the mounting hardware is refreshingly simple yet well thought out. 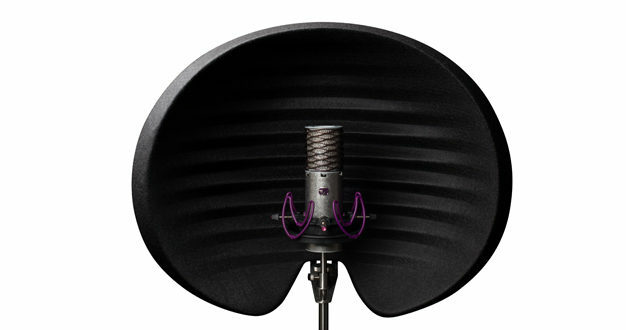 It offers adjustment for placing your microphone forwards and backwards as well as up and down. Thanks to the position of the clamp on the filter, the weight is also kept centred, helping reduce the strain on your mic stand. I’m sure a more elaborate design could be produced, but sometimes simple is best. As well as the size and shape of the Halo, the PET felt has been given some ridges. These aid in breaking up any reflections from the surface of the filter itself and therefore reducing any colouration the filter has on your microphone. The ridges also increase the surface area of the filter, hopefully absorbing more reflections. Aston advertise that the Halo has 40% more surface area than the ‘main competitor’ and the ridges “almost double this again”. The construction of the filter is comprised of three layers of PET felt. Sandwiched inside the outer shell is a looser version of the felt, designed to absorb some bass frequencies. Interestingly, the PET felt material is actually made from 70% recycled PET plastic bottles. It’s great to see this eco green feature of what is quite a sizeable product. All these details and the simple approach that Aston have taken, leaves the Halo Shadow feeling like quite an organic product. It also looks modern and professional, therefore suiting professional studio environments as well as domestic. Ultimately reflection filters are designed to help those recording in un-treated environments, but for commercial studios with large live rooms or when extra isolation is needed in multi-musician setups, the Halo is a valuable tool. The reflection filter market is relatively new, but the Aston Halo is easily the most effective solution available. Whilst it might be amongst the most expensive, the results speak for themselves. The key to their success lies in a great design executed with simplicity. This is a no-fuss answer to your recording environment issues. Now in black, this will also look the part in any home studio environment. Simon Allen is a freelance internationally recognised engineer/producer and pro audio professional with over 15 years of experience. 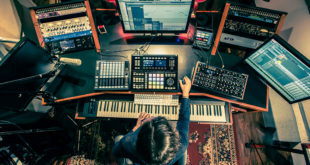 Working mostly in music, his reputation as a mix engineer continues to reach new heights.